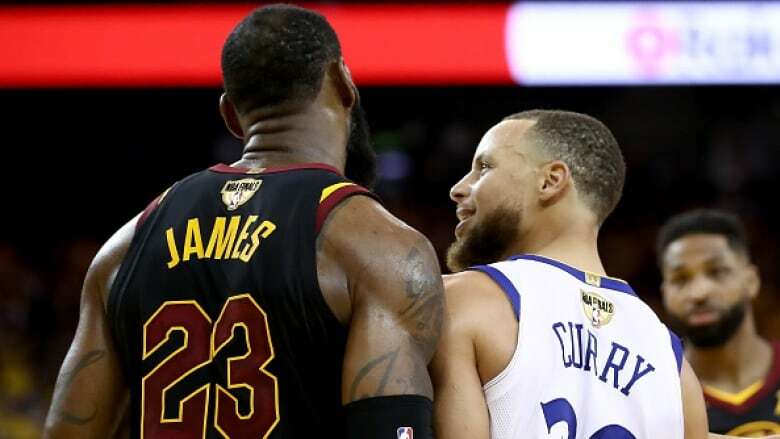 Stephen Curry and LeBron James spoke their minds last year. They have not changed their minds this year. No matter whose team wins the NBA championship, neither superstar will be at the White House anytime soon. On the day when the Philadelphia Eagles were supposed to be there to commemorate winning the Super Bowl — a visit that was cancelled by President Donald Trump and had the White House accusing players who weren't planning on attending of abandoning their fans — Curry and James were among those speaking out at the NBA Finals in support of the Eagles. Ahead of Game 3 of the Warriors-Cavaliers series on Wednesday at 9 p.m. ET, politics dominated the conversation. U bum <a href="https://twitter.com/StephenCurry30?ref_src=twsrc%5Etfw">@StephenCurry30</a> already said he ain't going! So therefore ain't no invite. Going to White House was a great honor until you showed up! Curry said Tuesday that he spoke with a current Eagles player about the team's decision-making process and how it went deeper than disagreeing with Trump policies and the ongoing issue of some NFL players choosing not to stand for the pre-game playing of The Star-Spangled Banner. Trump said the Eagles' event was called off because some of their players "disagree with their President because he insists that they proudly stand for the National Anthem, hand on heart, in honour of the great men and women of our military and the people of our country." The overwhelming issue surrounding the Eagles' planned visit was that most of the team was not going to attend, and that was a major factor in Trump deciding to pull the invitation. "What else do you expect Trump to do?" Golden State's Kevin Durant said. "When somebody says they don't want to come to the White House, he disinvites them. So the photo op don't look bad. We get it at this point. But it's good that guys are sticking to what they believe in and what they want to do. Like guys said before me, I'm sure whoever wins this series won't be going."